We share the same ancestors as the birch tree, from which this firewood was taken. That is the world’s most beautiful fact. Understanding how everything is connected, could provide an important insight into the well-being of mankind. 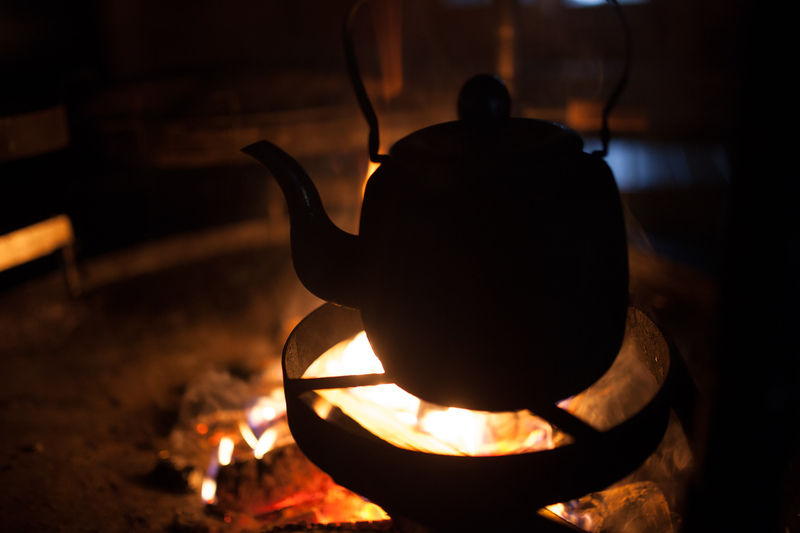 In the belly of a dark tipi-like hut, a bright fire hisses and crackles. Trees exhale their final breaths as gentle heat and smoke. Afternoon November rain taps on the roof. Tuomas Holopainen is celebrating the sabbath. 20 years of Nightwish and a tour lasting a year and a half are now behind him. ‘I asked the band, what if we take a little breather after the tour. It would probably do our heads some good’, Tuomas explains. ‘Everybody thought it was a sound idea’, and now here we are. The legacy of the backwoods. At primary school, Tuomas was a lone wolf. ‘I didn’t have a lot of friends, but I didn’t want a lot either. At my childhood home I spent all my days in the local woods or the field. Frodo and Bilbo and Huey, Dewey and Louie were the best of the bunch. Tuomas was not cut out to live in the city. 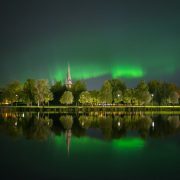 At one point he studied biology and lived in Kuopio for half a year. That was enough urban life for him. When in nature, Tuomas hears music. During his daily forest walks, nature can inspire a part of a melody, the subject of a song, a phrase or some other idea. It won’t leave him alone. ‘There comes this need to get it out. The need to make it something concrete. 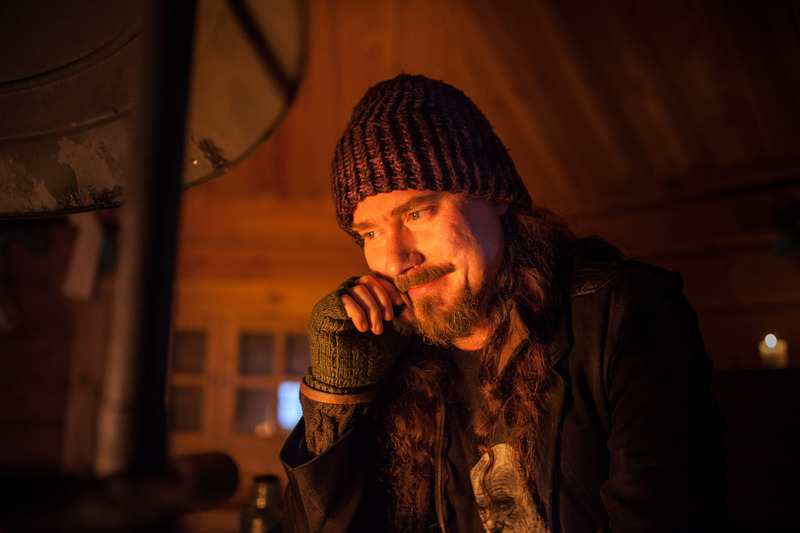 And that need is like an unimaginable roar in the head’, Tuomas explains. 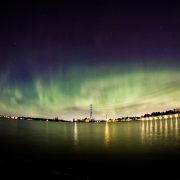 There is something intriguingly recognisable about the Finnish melody, chord structure and all-encompassing melancholy. Tuomas also describes Nightwish’s music as organic and thinks that he would be making a completely different kind of music if he had grown up in a big city. ‘There’s no denying that it’s a huge part of Nightwish’s identity, the fact that all band members are originally boys and girls from the countryside. It brings with it a certain amount of healthy naivité, innocence and good-natured childishness’. Nature is also a perfect antithesis to the unrelenting torrent of the social media world. 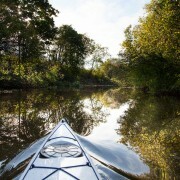 In the forest or on the lake shore, that feeling disappears. Nightwish’s Sacrament of Wilderness tells of how humans once tamed the wolf. The latest album, Endless forms most beautiful, is devoted entirely to nature and science, the miracles of life: evolution. 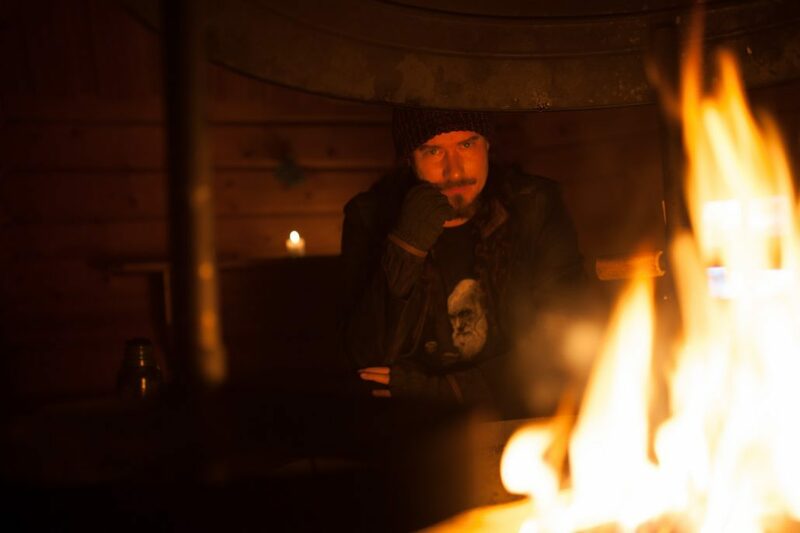 Tuomas reveals that making the record was a virtually spiritual experience for him. ‘Evolution is self-evident, but when reading Dawkins, I understood the poetry that is within that self-evidence. And it was an overwhelming experience to understand that every living being on this planet is our cousin, that we all have a common ancestor. We have a direct line of almost 4 billion years into the past’, Tuomas says. Tuomas points to the campfire. ‘The birch tree, from which that firewood has been taken, shares the same ancestor as us. These are facts, and to me this is the most beautiful fact in the world. 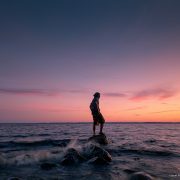 It could be a very important insight into the well-being of mankind, if we could understand that everything is connected, that man is not above everything, but part of it’, Tuomas considers. A couple of great travel fantasies of Tuomas’s are yet to be realised. The biggest of them is Alaska. ‘I have a strange fixation. Just the word, it has something mystical. And then one of my all-time favourite films, Into The Wild, fuelled that desire even more. I must get there one day, with a guide, so that I don’t end up as bear food’, ponders Tuomas. For years he has also dreamed of spending a month in Lapland, away from people. Tuomas has drawn music from nature, and he wants to combine the two in a way that hasn’t been done before. 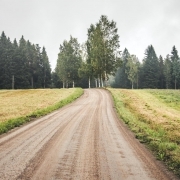 At the end of the summer Tuomas plans to hike. 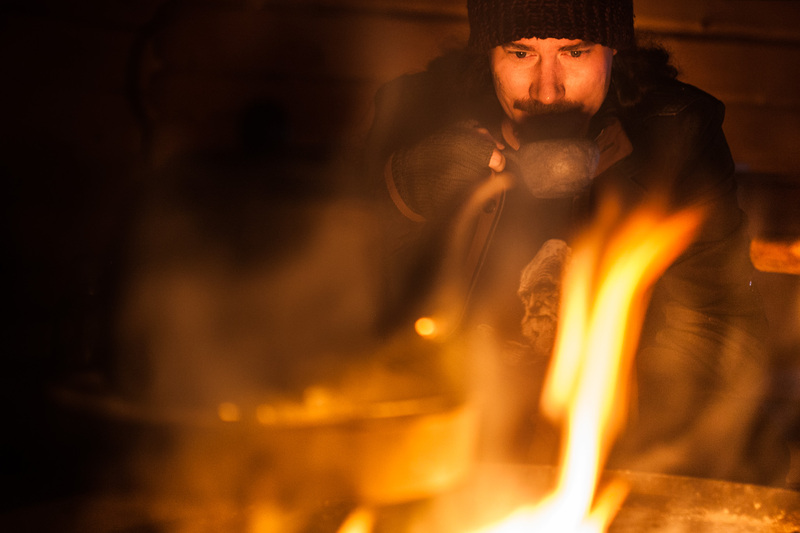 Staring at the fire, eating and drinking – enjoying the basic things in life in his favourite landscape, Finnish Lapland. The man says he’s never had a big urge to go anywhere else. ‘When I go hiking, I don’t like walking 3 km per day and then sleeping in wilderness huts. In my opinion you can and should stink of sweat. Experience the rain and sleet, the cold and harsh winds. 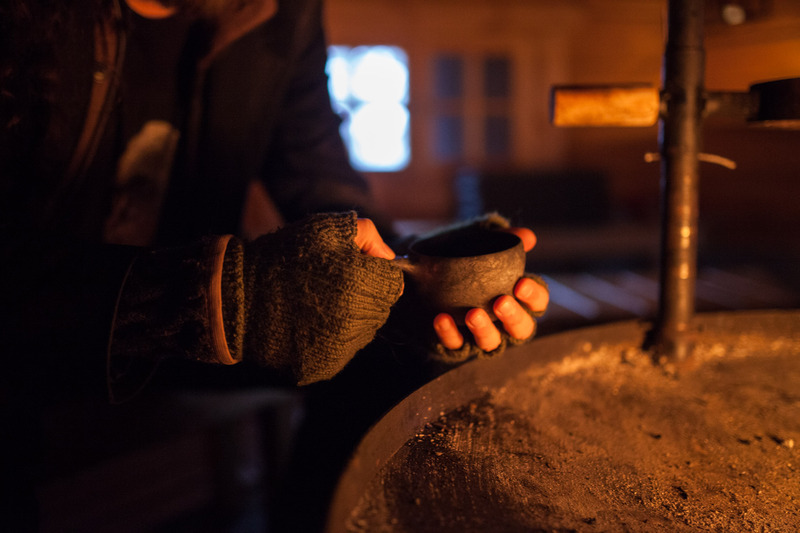 With that you go through some kind of catharsis, inner cleansing’, thinks Tuomas. He likes to hike with friends – his traditional hiking friends are Tony Kakko and Timo Rautiainen, both well-known Finnish artists. ‘We have a week booked in August, so we’re going to revive our hiking guild. We will also have foreign friends on that trip, who have never been to Finland, but who want to hike, so we’re going to take them along’, says Tuomas. Ice fishing, cold and boring? All rights reserved. Jotuca 2016.